Despite a busy schedule as of late, I wanted to post at least one little nod to Valentine’s Day - a quick pound cake recipe, plus a pink sugar glaze, heart-shaped candies, and some red melting chocolate made for just the perfect spooky treat. I thought it would be especially fun to use my go-to Williamsburg Cake recipe to make a candy bug stuffed holiday cake, reminiscent of the end of The Nightmare Before Christmas when Jack unravels the evil Oogie Boogie’s bugs. I was delighted that the sturdy layers provided the perfect opportunity to carve my little cavern, which, when stuffed with candies, produced just the “reveal” I was hoping for when slicing into this ultra-sweet treat! I’ve long been a fan of Marcus Samuelsson's Aquavit gingerbread cookies, and think they make the perfect base for gingerbread men — or my preference, gingerbread vampire teddy bears. They have such a delightful snap, and I just find they’re my favorite cookie to really sink my teeth into. Thanks to an especially hectic holiday season, I’ve definitely found myself leaning on this sugar cookie roll-out more than I have in past years. But with a little peppermint extract, and a lot of fondant and edible ink, it allowed me the perfect canvas to bring my killer wreaths to life! The snowy hill from The Nightmare Before Christmas is so iconic, and to me, it screamed to be made into a Mexican Wedding-style cookie. 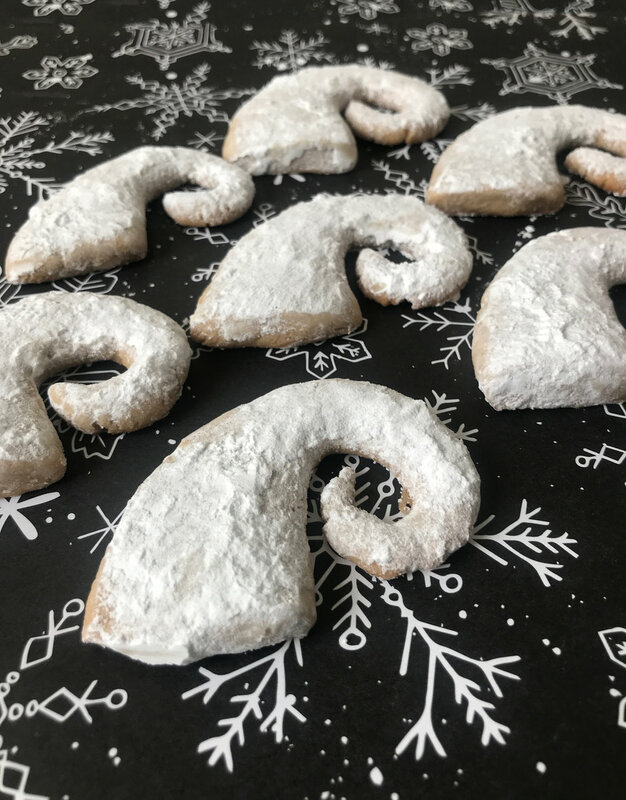 Unfortunately, given the buttery, fragile nature of that particular recipe, I ended up opting for a standard sugar cookie roll-out (which I rolled, pressed, and cut into hill-like shapes), and then dusting with powdered sugar for a similar aesthetic. 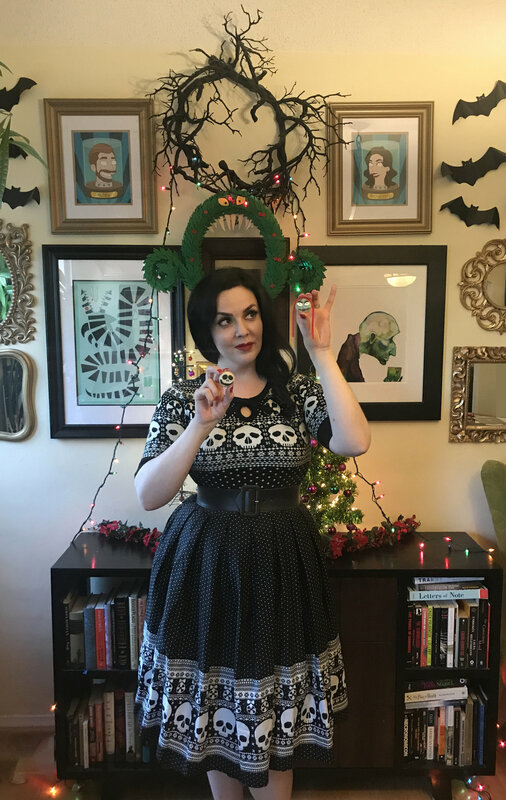 To kick off December, I figured who better to introduce my month of baking inspired by The Nightmare Before Christmas than Jack and Sally themselves. With this standard recipe, I find flooding the cookies and decorating them with edible pens (and Twizzler Pull and Peels for Sally’s hair) yields absolutely adorable little cookie gems! 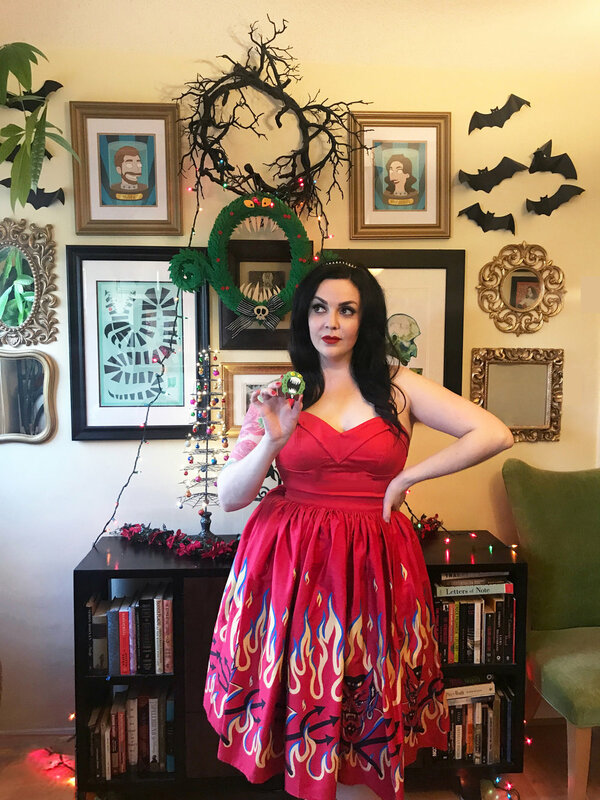 Wishing everyone a Happy Halloween, and a nice cool glass of Christine McConnell’s Poison Apple Punch (see her book Deceptive Desserts for the recipe! ), which reminds me delightfully of the witches’ Life Potion in Hocus Pocus! 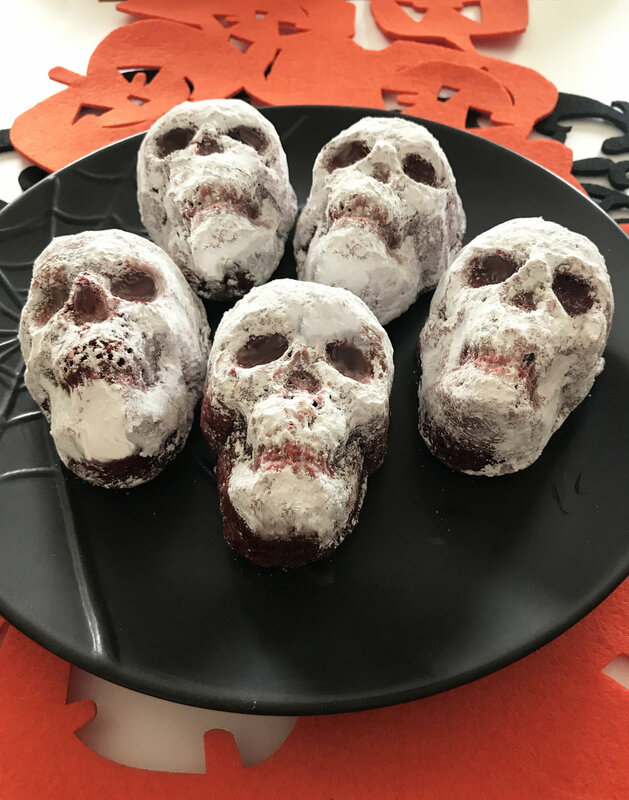 Bearing in mind the skeleton band that plays the Halloween party in Hocus Pocus, I thought my Nordic Ware Haunted Skull Cakelets pan (paired with the classic Betty Crocker Red Velvet Cake and dusted with powdered sugar) would make for an adorably spooky, spellbound sweet. I can’t imagine I’m the only one who grew up thinking the reanimated zombie hero Billy Butcherson was a completely crush-worthy (according to Binx, “Billy Butcherson was Winifred's lover, but she found him sporting with her sister Sarah, so she poisoned him and sewed his mouth shut so he couldn't tell her secrets even in death. Winifred always was the jealous type.”). So this Halloween season, I thought I’d pay tribute to this sometimes-headless-heartthrob with my favorite Williamsburg Cake, decorated with edible paper, edible gel, and black licorice hair. Capelet: admittedly impulsive random online purchase that I need to track down!! Of course, one of the most iconic elements of Hocus Pocus is Winifred’s enchanted spell book. Though not always a chocolate-lover when it comes to desserts, the brownie recipe in the Silver Palate Cookbook is enchantingly delicious. 1. Preheat oven to 350 degrees F. Grease and flour a 9 x 12 inch baking pan. 3. Meanwhile, beat eggs and sugar until thick and lemon-colored; add vanilla. Fold chocolate mixture into eggs and sugar. Mix thoroughly. 4. Sift flour and fold gently into batter, mixing just until blended. Fold in walnuts. 5. Pour into the prepared pan. Bake for 25 minutes, or until center is just set. Do not overbake.